Our facility creates an elegant and intimate setting whether you are celebrating your prom, anniversary, birthday or any other special occasion. Our staff understands the importance of attention to detail. 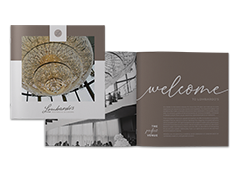 Your dedicated event planner will assist you from the initial planning stages through the execution of your event to ensure you and your guests leave with unforgettable memories. I can’t say ENOUGH about the experience I had with Lombardo’s…everything was excellent! I was more than impressed by your venue. It’s updated design and modern elements were a perfect combination for my party theme/atmosphere!